Search engine is a platform to provide access and interface between the user and object like you want to know where is America and you will search in the search field of the google and within few moments google will show you that where is America. This is s example of the search engine, now I am going to describe search engine those are popular across the globe. Bing Bing is a search engine operated by Microsoft. It helps you to search information online like Google, Bing work bases of windows and MSN search. It has been launched on 1 June 2019, about 9 year ago. Yahoo It is another type of search engine that helps you to find exactly what you are looking for. But the fact is that they could not become as google. Yahoo is written in PHP language, headquarter in Sunnyvale California and it launched March 2, 1995. 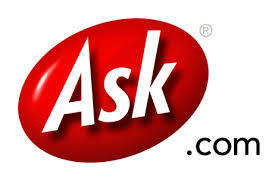 Ask.com It basically focuses on questions answer where people ask their questions and gets the result. It founded in June 1996 approcxmetally 21 years ago, Headquarter California US. Baidu It is basically work in Japan which came in Japan language, and this company refuses to services out of the country in CHINA. It is a basically place where people gain query based knowledge shared our thoughts and experiences. Founded on 1 January 2001 approximately 18 years ago.